A Single Draw Mariners Telescope with fancy ropework barrel by E & G.W. Blunt of New York circa 1824-1830. 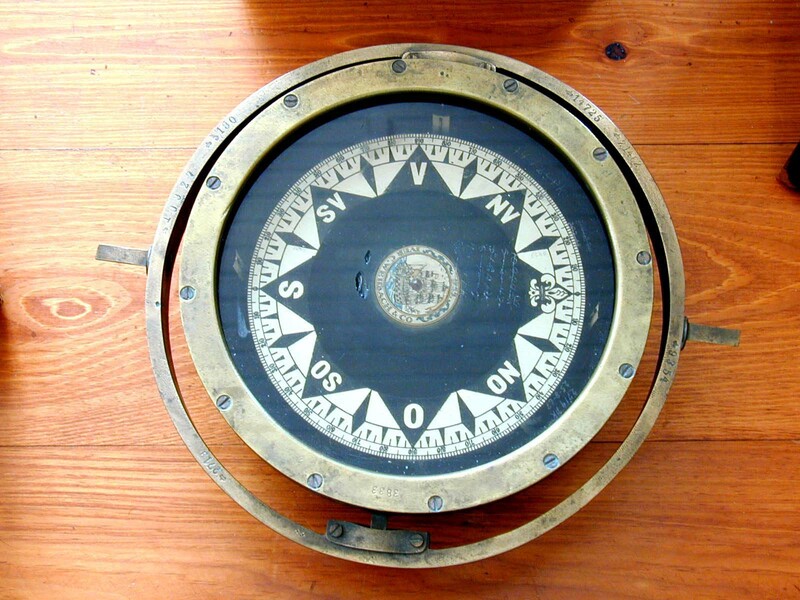 A Very Fine 19th century Surveyors Vernier Compass by William & Lewis Gurley, Troy, N.Y., circa 1865-1876. An Exceptionally Fine 19th century four-draw telescope signed "J.H. Steward, London, Maker" and "James Collett, Wonder Heuvel" circa 1870. A Fine Cased Mariners Sextant Signed "H. Hughes, London," circa 1920. Antique Salem Ships Bell Clock.